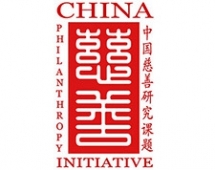 A team of researchers from leading U.S. and Chinese universities and institutions will present new research findings about philanthropy in China during the China Philanthropy Summit October 31 and November 1 in Indianapolis. The summit is the highlight event of the three-year “Initiative on Philanthropy in China” funded by the Henry Luce Foundation and the Ford Foundation, jointly carried out by the Indiana University Research Center for Chinese Politics & Business (RCCPB) and the Lilly Family School of Philanthropy. The Initiative includes research projects, workshops and conferences, publications, a new course, student internships, and engagement in a philanthropic activity to address a social problem. Researchers from organizations such as the University of Wisconsin, University of Pennsylvania, University of Maryland, Tsinghua University, and Sun Yat-Sen University will present findings from 11 research projects associated with the initiative. The summit will be held at Hine Hall/University Tower (Grand Ballroom), 850 W. Michigan Street, Indianapolis, IN on the Indiana University-Purdue University at Indianapolis (IUPUI) campus.